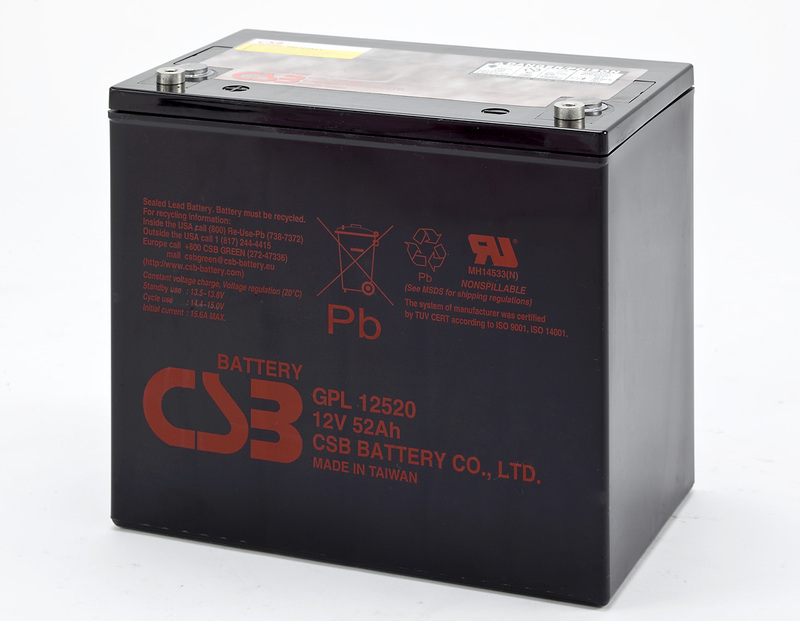 GPL12520 is a general purpose battery up to10 years expected life under normal float charge. As with all CSB batteries, all are rechargeable, highly efficient, leak proof and maintenance free. Container Material Polypropylene(UL 94-HB) & Flammability resistance of (UL 94-V0) can be available upon request.